The World Monuments Fund (WMF) in New York has partnered with the tech giant Google on a series of online exhibitions and stories that highlight efforts to preserve Iraq’s built heritage. Launched on the Google Arts & Culture platform today, the project includes drone footage of ancient sites and structures like the ziggurat in Borsippa and the Archway of Ctesiphon, 3D models of now lost architecture, like Babylon’s famous Ishtar Gate, and documentation of sites that have been damaged or destroyed by Isis, including Nimrud, Hatra and Mosul. 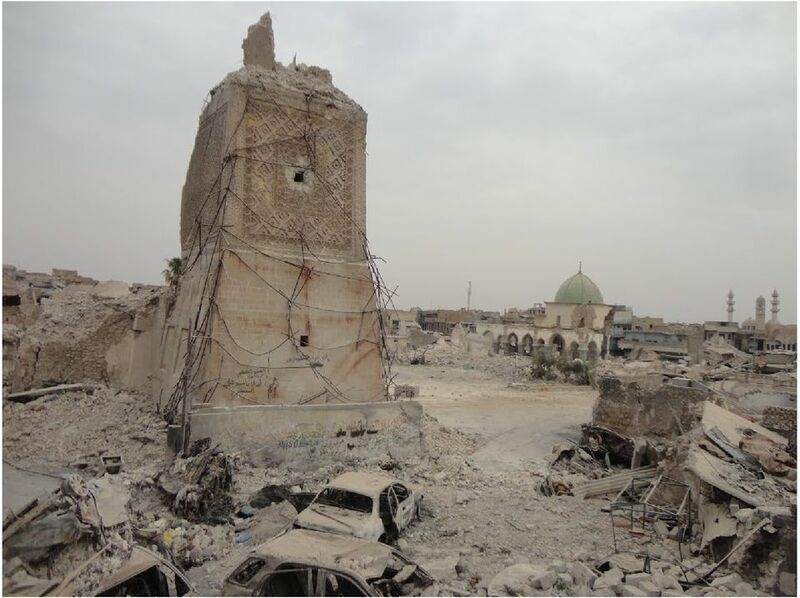 The platform also includes information on sites that are in need of protection or restoration, such as the Citadel of Erbil and the Dalal Bridge in the Kurdish region of Iraq, and the “tongue ziggurat” in Borsippa, southwest of Babylon, which is surrounded by piles of accumulated trash. “All around the world, monuments, our built heritage, irreplaceable pieces of our history are at risk of damage due to natural disasters, war, and over-tourism,” says Chance Coughenour, the programme manager for Google Arts & Culture. “We know that modern technology can help preserve these locations in fuller detail than ever before. This data can be used not only for sharing the stories of these sites in new ways, in VR and 3D, but also can assist physical restoration efforts on the ground.” Coughenour adds that the tech giant’s work with cultural institutions stems from its mission “to organise the world of information and make it available and useful” to a larger public—which seems eager to learn, since there are more than 500 million art-related searches on Google each month, according to Coughenour. The project with the WMF on Iraq is part of “the next chapter of a preservation initiative we’re actively working on with partners around the world,” Coughenour says, pointing to collaborations with the digital preservation company CyArk, which also helped created the 3D models of the Ishtar Gate and Nabu-sha-Khare Temple with the WMF, and the British Museum, which provided images of Mayan objects and plaster casts of carvings made by the 19th-century explorer Alfred Maudslay.